I’m sure no one doubts just how awesome Jay-Z’s life is. He’s married to Beyonce, worth hundreds of millions of dollars, undoubtedly one of the greatest rappers of all time, and married to Beyonce. Besides, he’s never been shy about telling us all of this. You can’t have a Jay-Z album without some self-congratulation in every song, and we love him for it. No, I don’t doubt that his life his awesome, just that his latest album is. Magna Carta … Holy Grail is far from a terrible album. The beats are fine, there is plenty of classic Hov lyrics and flow and some truly exceptional moments. For instance, Jay Z Blue and Nickels and Dimes are both excellent by any standard and F.U.T.W. is quite good. However, these stand-out moments are the exception to the mediocrity that defines this album. Even worse, they are often balanced by moments best forgotten. Letting Justin Timberlake take the first 80 seconds of your album takes quite some effort to forgive. At 43, maybe we should expect an album that is more business than rap, and certainly the strongest songs are only about topics Jay could address at this stage in his life – fatherhood and philanthropy. Whatever the reasons may be, the result is album best forgotten. This is promising to be a very strong year for rap, but Magna Carta … Holy Grail doesn’t hold a place in it. Deltron 3030 is a supergroup consisting of producer Dan the Automator, rapper Del the Funky Homosapien and Kid Koala. 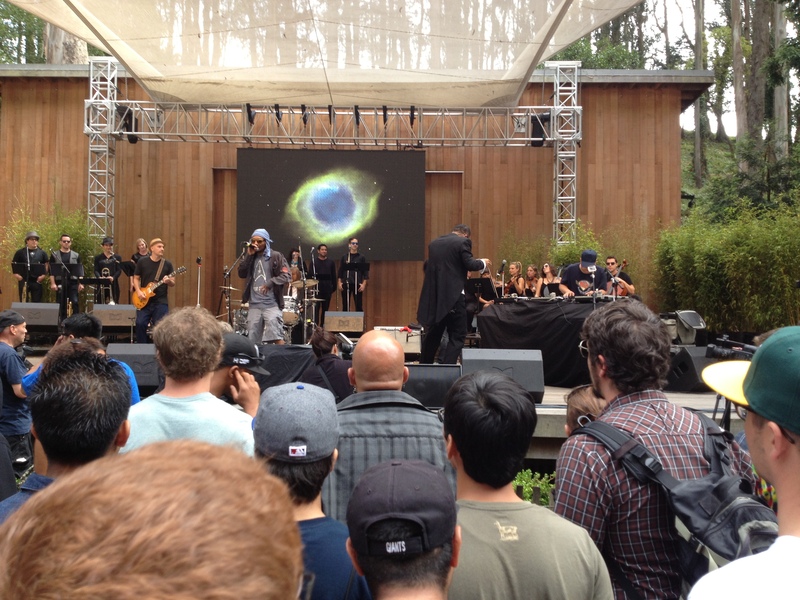 Their first and only album Deltron 3030 is a space rap opera that laid the seeds from which the Gorillaz were to grow. Their second album, Event II is set to be released this fall and they have started touring again. 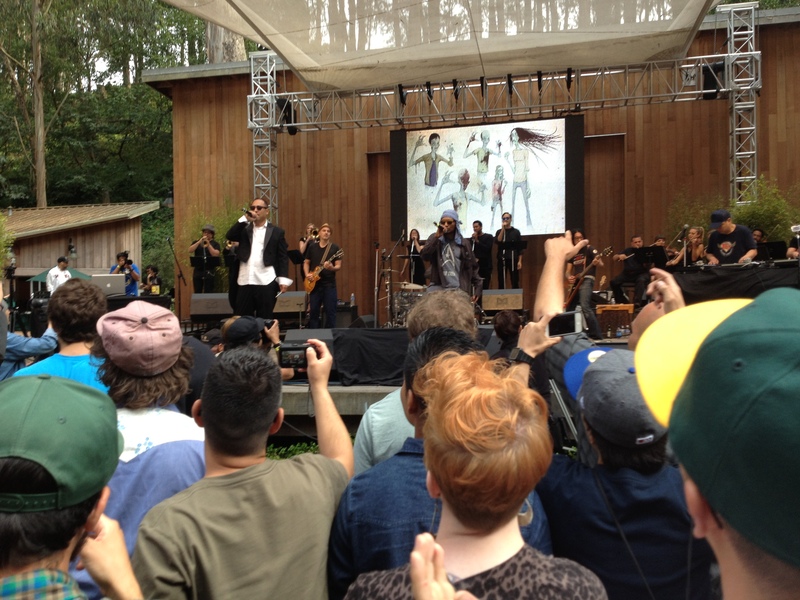 Today, they played the Stern Grove festival and they were incredible. 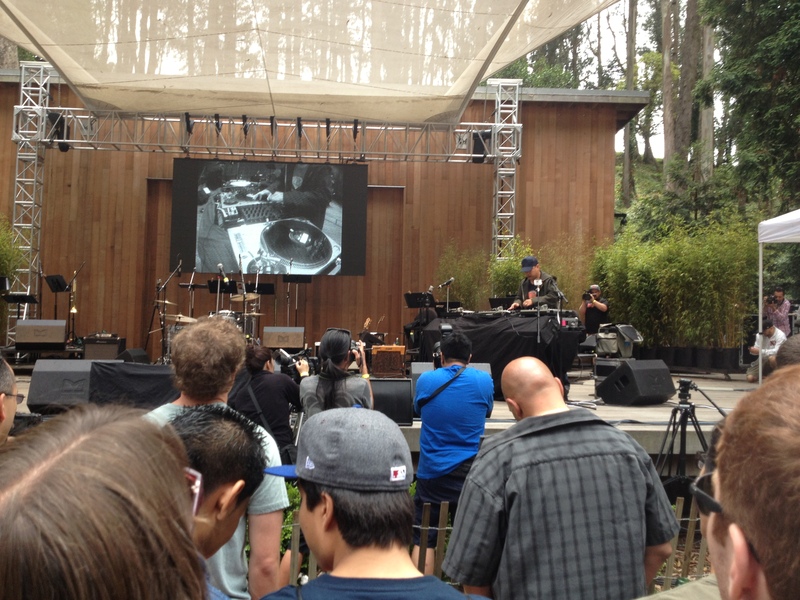 The set started with half an hour of Kid Koala all by himself. With no laptop and no headphones, he took us all to school in the art of turntabling. He started with a homage to Louie Armstrong that could have slipped into Future Shock with no questions asked. From there he dropped an eclectic set featuring a Jay-Z beat, his four-year-old child’s favorite song and “a song for the 50-year old women out there”. In case you couldn’t tell, it was great fun. 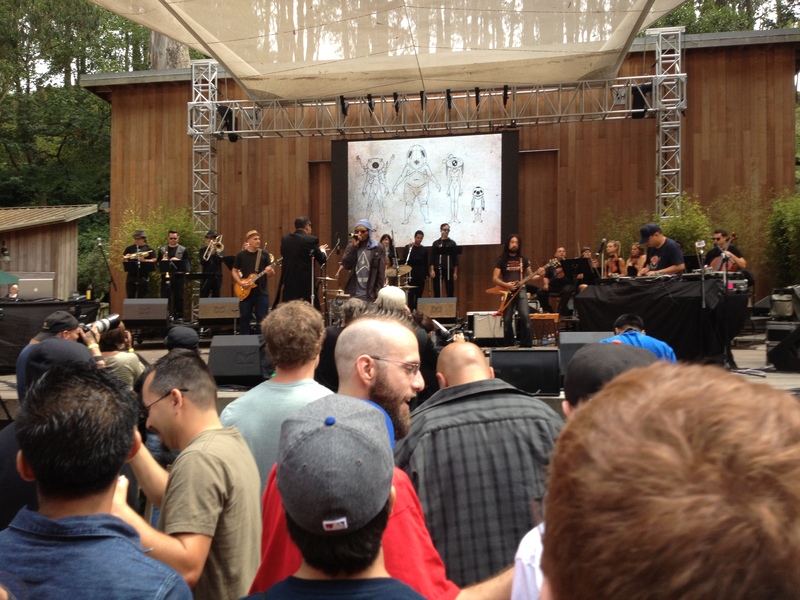 From there we had a lengthy break for set-up and then Deltron 3030 came out to 3030 from their eponymous album. This is my personal favorite Deltron song and it was excellent live. The song is marked by the soundscapes it presents and the backing symphony did a great job in setting the atmosphere. It was the trio though that owned the stage. With Del rocking a Star Trek shirt, Dan’s conductor guise and Kid Koala’s infinite charisma, they were by far the stars of their own show, as well they should be. The set was a pretty equal mix of Deltron 3030 and Event II songs, which was an interesting mix of familiar and brand new. Dan the Automator had to teach us the chorus of one of the songs before it started and then cued us in so that we could sing along. 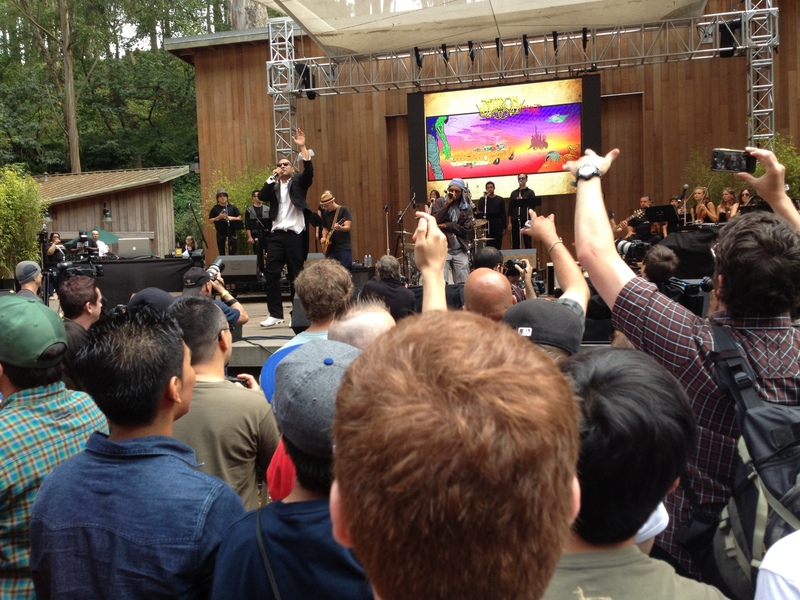 Of course, for Deltron songs, the crowd came in knowing the words. 3030, Virus, Mastermind, Positive Contact and Memory Loss all had the crowd pumped from the opening bars. The new songs gave this concert a freshness I have rarely experienced. If the purpose of this tour is to hype Event II, then it worked for me. I am definitely stoked for its upcoming release. Having said that though, the standout moment of the concert came with the encore when they dropped Clint Eastwood, a song both Del and Dan played pretty large parts in. Deltron 3030 was a landmark album and sounds as innovative now as it did nearly fifteen years ago. All three of the artists are rulers of the underworld in their own right and together they are unmatched. Their live show only bolstered my respect for them and I am very excited to see what will come next. This is the standard to which rap concerts should be held.